BareMinerals are launching the Beautifully Radiant collection which is all about revealing your beautiful self. No heavy coverage, just flawless finishes, easy application and lightweight textures to reveal radiant, youthful looking skin. As soon as you receive this lovely 7-piece collection of goodies you will be excited to dive in and try everything. I have loved using this collection and have found two brand new favourites which I have been wearing constantly. This award winning, water resistant foundation feels absolutely amazing on the skin. Even on my dehydrated skin. Why? It contains only the purist, most natural ingredient’s, has a silky soft texture and feels more like a cream as you buff it onto the skin. I wear Medium Beige in this and it is absolutely the perfect shade choice for me. It glides effortlessly over the skin as you gently buff it and gives a lovely coverage without feeling cakey. I do have to build it up more over my pigmentation but it is really fast and leaves my skin with a beautiful glow. It gives an illusion of a smoother skin tone and doesn’t sit in the fine lines on my forehead or clog in my pores. It provides an adjustable sheer to full coverage and would work well on anyone with acne, scars, blemishes, hyperpigmentation and lines and wrinkles. It is amazing how it feels so light on the skin considering it also contains Titanium Dioxide which is a physical sun screen which provides UVA and UVB protection. I also love using this as a “Finishing Powder” over my complexion rescue or over a foundation that may be too dewy. This is one of my hero products from this collection! It is super speedy and gets me out on the school run quickly, whilst making my skin look awake, bright and healthy even if I don’t feel that way. There is so much goodness to this product I just don’t know where to begin. Ok, this feels like a tinted moisturiser on the skin, yet offers a beautiful veil of coverage. It is also incredibly hydrating on the skin and in this recent mini heat wave we have been blessed with, my skin does not feel dry. According to BareMinerals this product can give an increase of 215% skin hydration in just one week, no wonder it feels so good! Formulated with Olive derived Squaline which some of my other favourite foundations contain, marine botanicals and coconut derived ingredient’s it feels more like you are applying a gorgeous lightweight moisturiser to the skin. If I am in a hurry I apply this with clean fingertips and it gives a lovely sheer coverage, when I apply with the brush included it gives a more medium coverage. If you do not like the feel of make up on your skin but want that hydrated, fresh, wide awake look, this is perfect for that. My must have of this collection. Oil Free so perfect for oily skins and deeply hydrating for dry skin types. Wooo Hooo! I am a HUGE lover of highlighters, no point hiding it! Any season, any weather I will be wearing a highlight. It really lifts the complexion and just gives that beautiful glow. Obviously there are so many different highlighters out there and they can be used in so many ways. If you contour and strobe, if you use them just under and above your brow bone, if you only apply it to the tops of the cheeks bones, this highlighter is perfect. It comes in a fab mini pump bottle which I love as you get a measured dose of product that is always clean and doesn’t go hard or cakey in the pan. You really can go as heavy or light with this peachy glow as you wish. You can dab it on for a full on fleek highlight or gently buff it out for that “Just hit by the sun” look. Gorgeous over Complexion rescue and liquid products, just make sure your skin is moisturised and hydrated. I absolutely adore this. This new shade is exclusive to Qvc and sits in this collection perfectly. Using the swirl, tap, buff application method, pour a little of this “pop of rose” coloured blush into the lid, use the included Mini Flawless brush & apply to the apples of the cheeks. Start with the less is more approach with this shade and you will find as you buff the shade deepens. Easy to build to the colour you need. On me this is close to the shade I actually blush, so it does what is says it will. I wear this ever-so-light on the cheeks to just add a flush of colour. It also makes a beautiful eye shadow. Another New and exclusive to Qvc shade, California Dreamer is a suit all shade. I really think that pale skin to dark can wear and look beautiful in this shade and BareMinerals are very clever in achieving this. It is such a happy, buildable colour that gives the illusion of fuller lips and who doesn’t want that right? Deeply hydrating thanks to the inclusion of Shea, Avocado and Murmer butte, it glides on the lips without feeling sticky or clumpy. 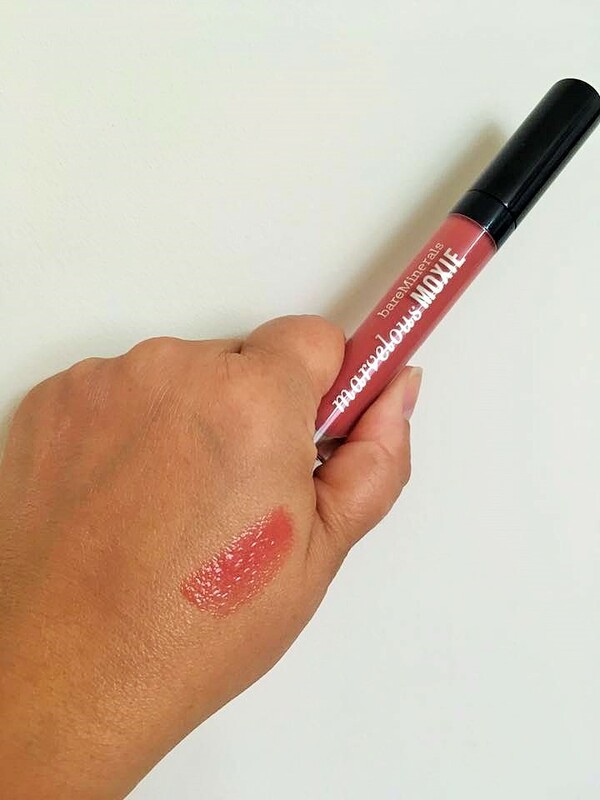 When I swatch it, it is quite a coral pink but on my lips it is not too dissimilar to my lip colour and makes then look lovely and glossy. It does contain Peppermint Oil and I know some of you are not keen on that tingly sensation, but it doesn’t bother me. As with most lip gloss it doesn’t have huge longevity so definitely one for the handbag. You also get two mini brushes included in these collection. The Mini Full Flawless Face Brush and the Mini Smoothing Face Brush. Mmmm, well the Mini Flawless face brush is a cute addition to my make up bag and in an emergency situation does come in handy. The Dual Fibre, Synthetic Smoothing face brush is ok to apply product on small areas, great around the nose, but doesn’t rock my world too much. Well what can I say? It is BareMinerals and it is another brilliant collection. Full of the usual expertise and great products that we have come to know and love. 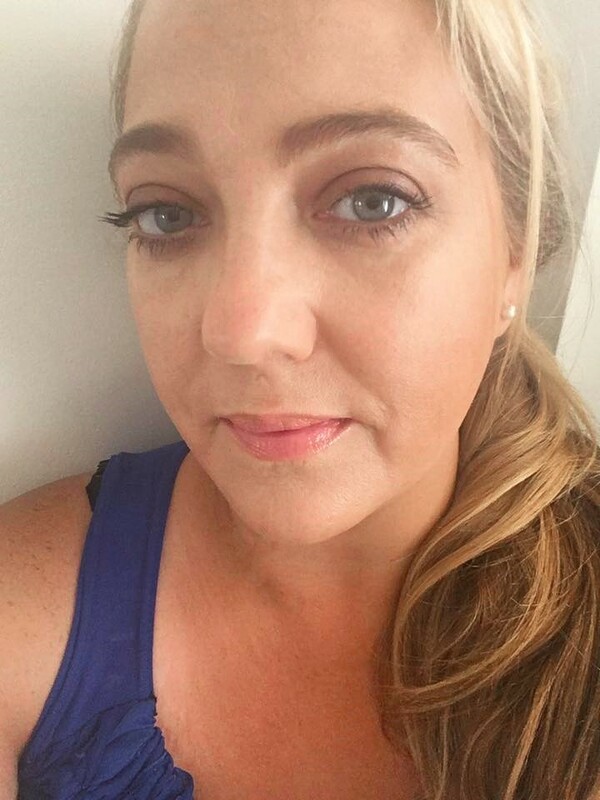 My favourites are the Complexion Rescue and Stroke of Light highlighter and I have been wearing these daily. This collection is perfect if you dislike the feel of make up on the skin. It gives easy, flawless coverage and a wonderful natural look. 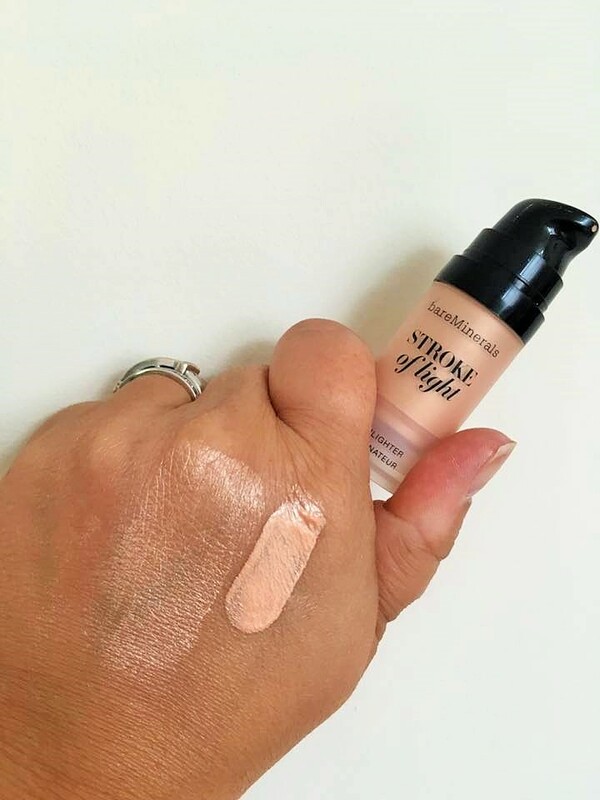 Don’t start reaching for those heavy, full coverage, thick foundations, let the skin breathe and show off that summer glow. I love it. This collection is Exclusive to Qvc as a Today’s Special Value and will be available on Sunday the 18th September at a fab price. If you bought these items (not including the Highlighter & Brushes) separately from BareMinerals they would be £90.50. The Tsv price will be fabulous. You can purchase NOW HERE. "Little Ondine Launch Limited Edition X Sophy Robson range"
"Skinn by Dimitri James Launches in the UK"
I love the stroke of light. Interesting to see they've changed the packaging and I think I prefer the new format – looks more hygienic as the air won't get to it before it's dispensed.